Yes you have seen this white squishy thing that can swim in the Arctic waters on National Geographic, but do you know who they really are? Amazingly, they are known as the Canaries of the Sea. We’ve encountered previously with Humpback Whales having one of the most beautiful love songs, now how about the Beluga Whale who have one of the most complex auditory systems, and are able to hear excellently in the human frequency. 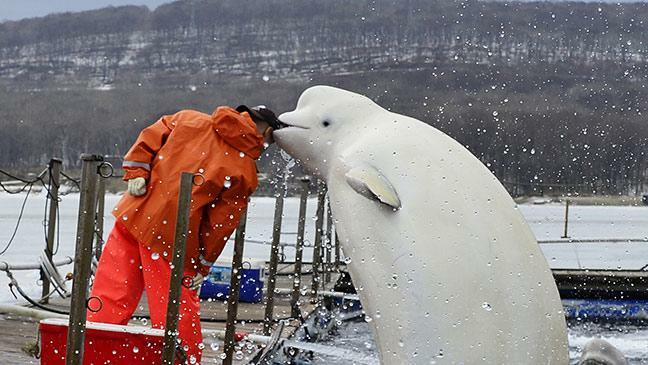 That’s right, Beluga whales, unlike other whale or dolphin species who aren’t able to hear humans very clearly. Beluga whales and the Irrawady Dolphin are the only two species of cetaceans that are able to change their facial expressions (lip movement) when making these sounds. Unlike humans, they do not have any vocal chords, and the sounds are created by the movement of air through the nasal sacs, causing its big melon to alter its shape as well. Belugas are a close relative of the Narwhals in the Monodontinae Family (under the Odontoceti). Both calves of the Beluga and the Narwhal look very similar, and it is said it would take as much as 8 years for the grey Beluga calf to turn white like the mature adult. 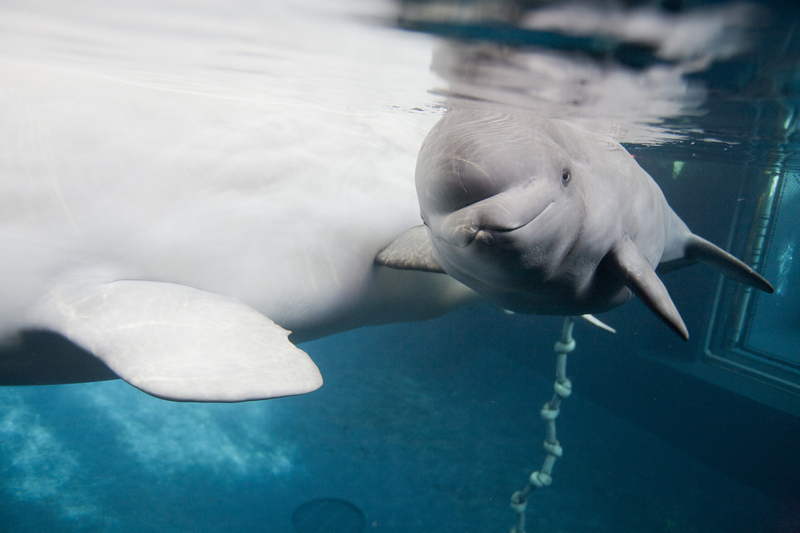 Beluga whales lack a dorsal fin, have short beaks and a big round melon that is one of the thickest parts of the body to help break through surface ice to breathe air. The trademark of the Beluga Whale is its thick blubber which protects itself from the extreme cold waters of the Arctic where they are found. Its white appearance also helps it to camouflage among the ice as it hunts for a variety of salmon, Arctic cod, herring, crabs, octopuses and so much more! These Beluga whales are currently listed as ‘Near Threatened’ on the IUCN red list 2008, but the species are increasingly threatened by anthropogenic reasons. 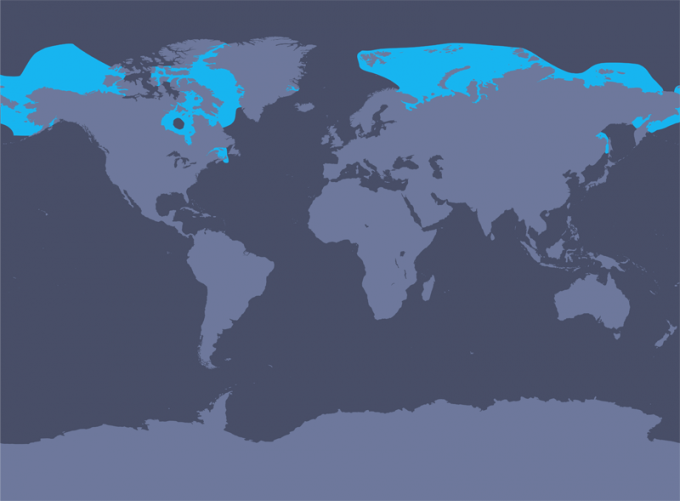 The greatest threats to the Beluga Whales are climate change, offshore drilling operations, pollution, prey depletion – the competition for scarce food resources as a result of over-fishing, and by-catch activities in the Arctic.